This book aims to give, in 14 chapters, directions and exercises for the use of woodworking tools. Like other textbooks of its kind, it will best accomplish its purpose in the hands of an intelligent and practical teacher, who may use it for his own guidance in conducting a class. 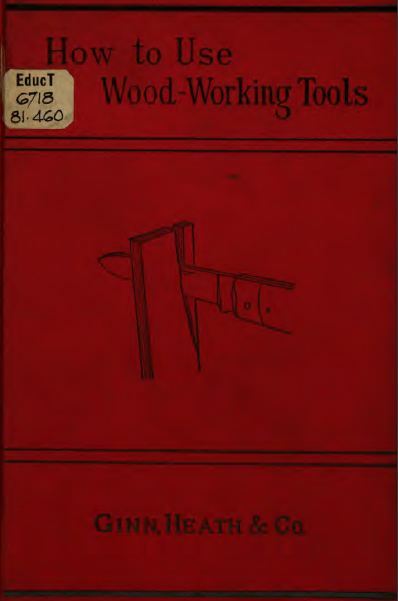 This book was prepared for the Industrial School Association of Boston to teach kids the basics of woodworking. Basic woodworking techniques of the day such as striking, splitting, cutting, planing, sharpening, scoring, paring, sawing, and more are covered for the woodworking student in mind.